Truth is, I don't watch TV much. Mostly it's bad for your health. And honestly most of us don't watch TV as much as we let it drone on in the background until something manages to cut through the clatter. My stress level begins to climb after just a few minutes of listening to Natalie Morales telling me about the war raging in (name-your-location-here), or Norah O'Donnell telling me about the effects of global warming, or Jean Chatsky telling me I've invested poorly and am going to have to let my favorite child pick out my nursing home. I'll admit it, my chest feels a little tighter, my anxiety is a little higher, and I'm wondering if a glass of Merlot for breakfast would count as a fruit on my Weight Watcher points. But yesterday something different cut through the clatter. I'm thinking, "Did I hear that right?!" I stopped what I was doing and looked up. 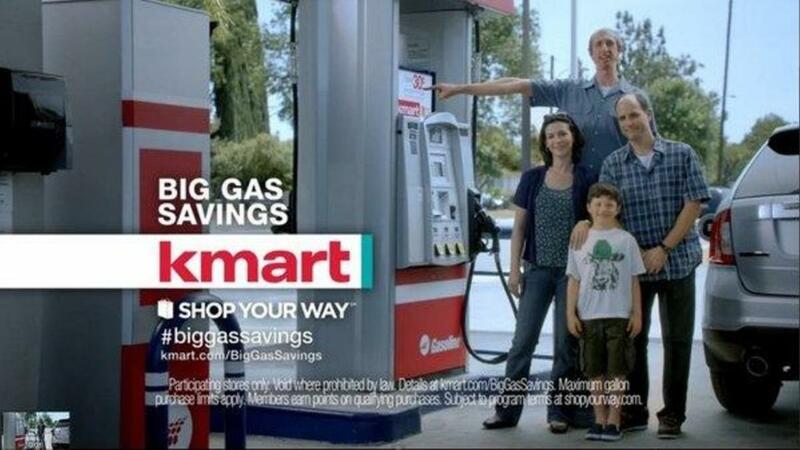 The commercial for Kmart’s gas savings was quick—and by the time I got to where I could see the TV, the ad was over. But what I heard was so clever and quirky that I was compelled to fire up the computer and look it up on YouTube. But Kmart understands that Funny Means Money. If you want someone listening, get them laughing. And now your message, your product, your service is heard above the noise. Trust me. I'm not the first one to forward Kmart’s link to hundreds of my BFFs. Kmart has managed to generate two million hits in just a few days. You can watch it for yourself here. I gotta run. I'm going to get my “BIGGAS” savings.